Tutors are available for many departments, and students are served on a walk-in, first come first served basis. 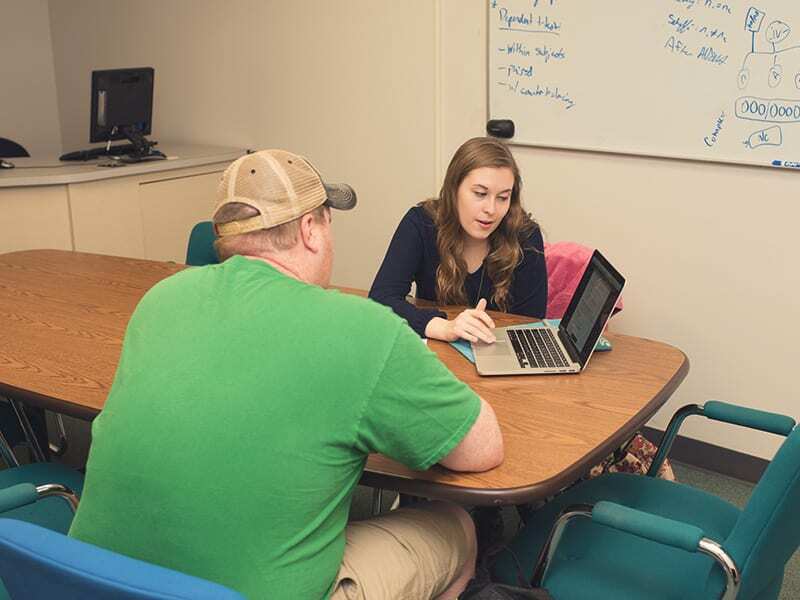 Students are encouraged to participate in study groups when they are available. Although appointments are not necessary they are encouraged to ensure priority. Read and attempt assignments on own before tutoring session. One-on-one Tutoring: Individualized tutoring is often available by appointment for times other than what is listed on the tutor schedule. Employment Tutors: Holding a position as a tutor/facilitator is a wonderful way to assist your peers while keeping yourself updated in the course material. It is also an excellent addition to any resume or curriculum vitae as well as an excellent way to determine if the major you have chosen is really where your heart is. Study Group Facilitators: This position acts as a leader/facilitator for specific subjects (example: BIBL 2000, STATS, etc.) Study groups usually meet once a week for one hour. On-Site Tutors: On-site tutors must be able to tutor in a number of subjects including writing and have a set weekly schedule. One-on-one Tutors: One-on-one tutors are employed on an “as needed” basis. They can tutor in one specific subject or in a variety of subjects and can work anywhere from 0-10 hours per week depending on the need for assistance. Writing Tutors: All writing tutors must meet the requirements for the Writing Center. Writing tutors have a set weekly schedule. must have the recommendation of their instructor for that particular course. must have received a grade of a B or above (preferably an A in that particular course). must have at least a sophomore standing or a “strong” faculty recommendation from the instructor of the course being tutored. must agree to specific KACE professional standards. must take study strategies workshops. must complete tutor training (all sessions). must be willing to meet with course instructors for consolations and/or instructions. The service is open to all students: traditional, adult students, and the School of Theology. The Math Department handles most of their own tutoring in D-330 for higher level classes. However, tutoring for lower level math classes is available at the KACE. Visit us at the Kissinger Academic Center for Excellence (KACE) located in the Nicholson Library or call us at (765) 641-4225 to make an appointment.